The APX West and Central cable system has a new name — INDIGO — and new backers, with a consortium comprising AARNet, Google, Indosat Ooredoo, Optus parent company Singtel, SubPartners, and Telstra announcing today that they had struck a deal with Alcatel Submarine Networks (ASN) to build the subsea cable. The 9000-kilometre cable will connect Singapore, Australia and Indonesia. In Australia the cable will land in Perth, and from there connect to Sydney. 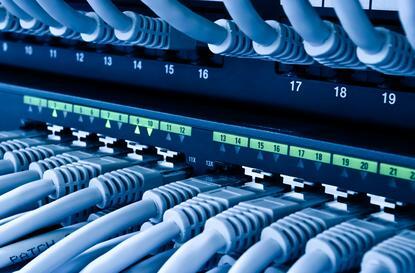 Each of the cable system’s two-fibre pairs will deliver bandwidth of at least 18 terabits per second. Members of the consortium will own spectrum on the cable. ASX-listed fibre network operator Superloop announced today that it had acquired SubPartners. Both companies were founded by Bevan Slattery. SubPartners has previously detailed plans to have APX West and APX Central land at NextDC’s P1 data centre in Perth. “The acquisition of SubPartners will deliver Superloop strategic assets including ownership of international submarine cable capacity as a member of the INDIGO consortium which is constructing the INDIGO West cable(Singapore to Perth) and the INDIGO Central cable (Perth to Sydney),” Superloop’s statement to the ASX said. In its announcement of support for INDIGO, Google emphasised the potential to boost the bandwidth available to its cloud customers. Google last year detailed plans to launch a a Sydney Google Cloud Region. “With Internet data consumption growing by 70 per cent in Asia last year alone these sorts of investments in international networks are critical for meeting the needs of connected consumers and businesses,” Telstra group managing director of global services and international, David Burns, said in a statement.